The College of Education Hong study centre of Ahmadu Bello University of Zaria, has matriculated three hundred and fifty five (355) students for the 2018/19 academic session. 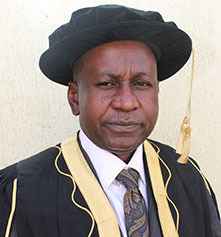 The Vice Chancellor of the University, Professor Ibrahim Garba, represented by Professor Y. K. Kazuru, Dean Faculty of Education, stated this in his speech delivered during the matriculation ceremony that was held at the college matriculation ground in Hong local government area of Adamawa state. While congratulating the newly admitted students for securing admission to study in one of the most prestigious University in Africa, Prof. Garba charged them to count themselves lucky for getting admission into the university. He noted that over hundred thousand students have applied for admission to pursue their academic carrier in the institution but out of these teeming populations only thirteen thousand were admitted. Therefore, he cautioned them to utilized the opportunity well and make their parents and the institution proud by coming out with flying colours certificate at the end of their studies. However, the Vice Chancellor warned that the university has zero tolerance for indecent behavior. Hence, he advised the students to shun social vices such as drugs abuse, occultism, and exam malpractice among others. He maintained that if caught, they will make sure that the full wrath of law is meted on the perpetrator of the act. In his speech, the Provost of the College of Education, Hong, Professor Johnson Pongri, urged the students to emulate the virtues of Sir Ahmadu Bello of blessed memory and lay a legacy of unity that will be remembered by the future generation. 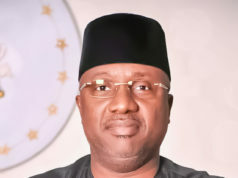 Thus, he welcomed all the August visitors to the matriculation ceremony and as well formally welcomed the newly admitted students to Adamawa State College of Education, Hong, an affiliated to Ahmadu Bello university Zaria popular known as A. B. U. Zaria. Therefore, Professor Pongri said as an affiliated of a university, it is the university that moderates their examination and as well issue certificate to graduate. Hence, he noted that it place an enormous burden on all of them (the management, students and parents) to maintain the standard of the university. As such, he charged the students to aim for first class in their various areas of disciplines. 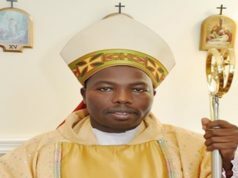 However, the Provost admonished the students to eschewed immoral behaviours such as drugs addict, occultism, indecent dressing; bad companies of friends and examination malpractice. Stating that whoever involved in these immoral act would face the full wrath of law. In her goodwill message, the Chairperson of the Governing Council of the College, Hajiya Salamatu Bala, congratulated the students and equally tasked them to live up to the expectations and make the college and their parents proud by graduating with flying colours results.